Great 4 bedroom family home with 2 bedroom basement suite in prime Renfrew location on quiet Graveley Street. Just steps to elementary schools, transit, T&T, Clinton Park & Rupert Park. East access to downtown, Burnaby & North Van. Upper suite has a large living/dining room & big kitchen with eating area, 2 bedrooms on the main level & 2 bedrooms up. Downstairs has shared laundry, a half bath for the upper suite, good storage & a separate 2 bedroom basement suite. Currently, the whole house is tenanted to one extended family. Many updates throughout the home. 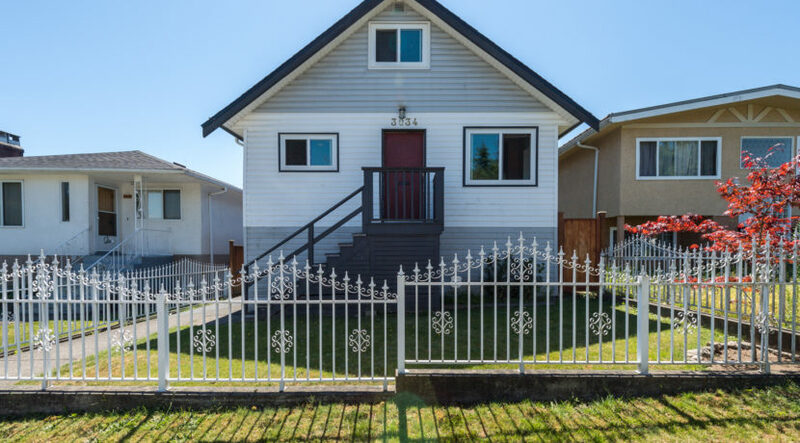 Cute fenced front yard for curb appeal, an easy-maintenance, south-facing backyard, a 1 car garage & huge sundeck off the kitchen. 33.5′ x 115.7′ RS-1 lot great for investors, families, or share housing. Come check it out!!! PRIMARY: Sir Matthew Begbie Elementary currently enrolls 333 students from kindergarten to grade seven in fifteen divisions. Students are challenged to do their best and are supported in this quest. Student leadership is promoted at Begbie through peer helpers, student led assemblies, and student led morning announcements, student council, buddy classes, and a variety of monitor opportunities. The school code of conduct is built on a foundation of respect and is comprised of three major concepts: be fair, be safe and be kind. SECONDARY: Templeton High opened in the fall of 1927. It has won many awards for drama productions and for student films. Templeton is also known for its successful theatre and film programs, regarded as one of the best in British Columbia. Templeton is home to a Mini-School Program for gifted children, from grades 8-12. The objective of the Mini School is to foster interdisciplinary learning and environmental stewardship through interdisciplinary activities and field trips that bring the students together for a closer relationship with each other. Templeton has a stated goal of building knowledge, acceptance, empathy, and appreciation of Aboriginal peoples’ histories.